A former hospital built in 1964, the St. Ignatius Community Health Clinic operates with full clinic services, with departments including pharmacy, dental, medical, imaging, audiology, optical, behavioral health, medical records, and community health. Although it was well maintained, the building was in dire need of functional upgrades to improve services and patient satisfaction. 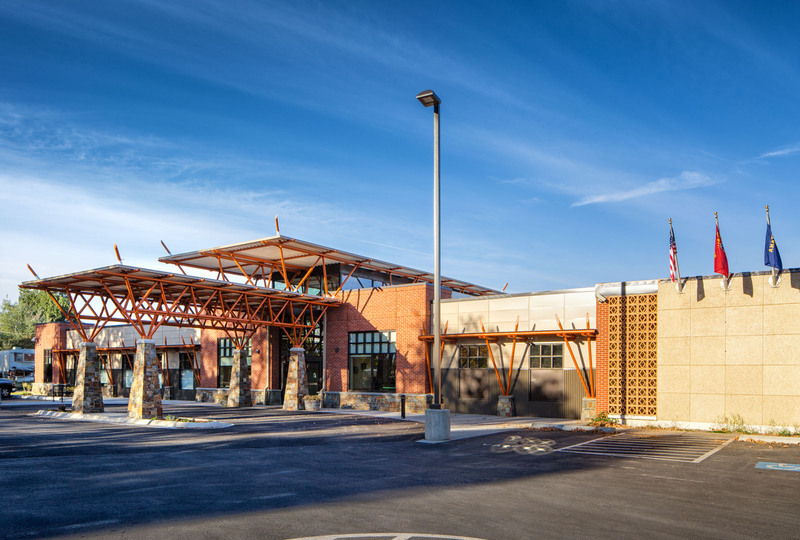 In 2012, the Confederated Salish & Kootenai Tribes (CSKT) decided to expand and remodel the existing clinic. 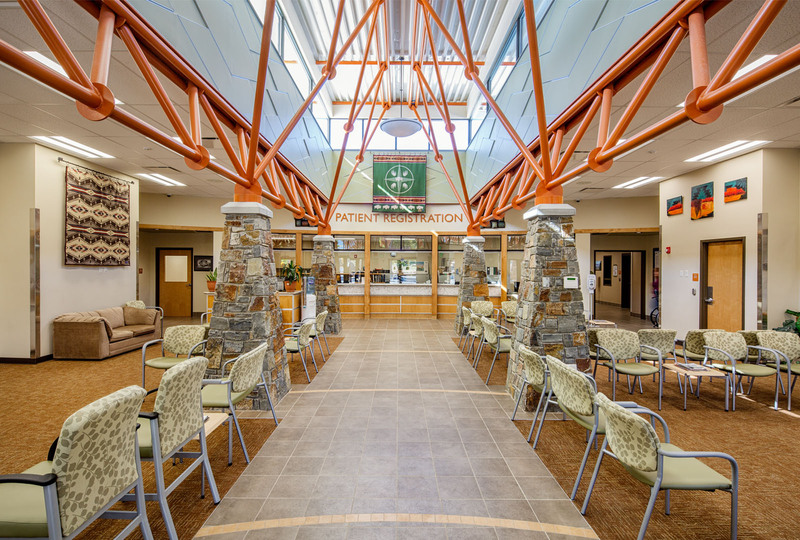 The Tribal Health and Human Services administration will occupy unused space in the existing building after remodeling is completed in a second phase. The project includes durable materials such as stone, brick, and metal siding. 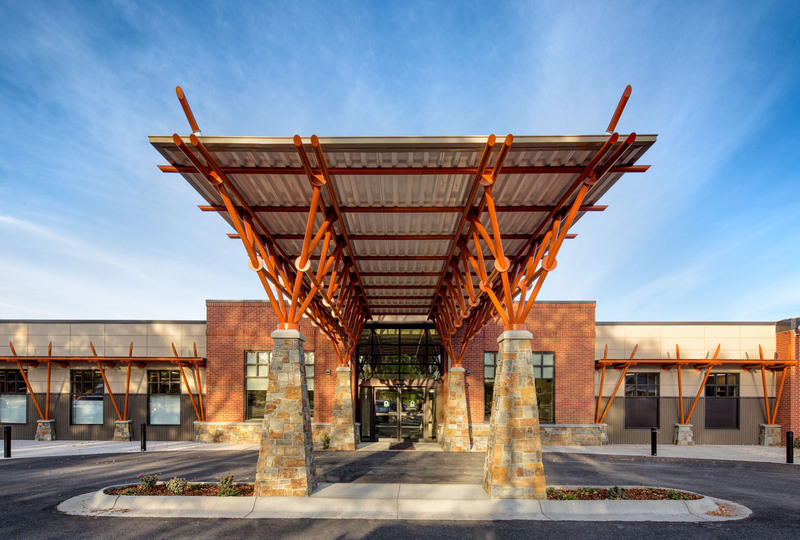 Angled columns form trusses that support a drive-under canopy and continue into the lobby and waiting rooms spaces. Large clerestory windows illuminate the waiting room, which has been designed to improve patient flow, wayfinding, and privacy.